It was as a third grader that Karen determined she would be a teacher. Surrounded by a loving, faith-filled family, Karen learned early the importance of giving back and of not taking God-given gifts for granted. Her mentally challenged older brother, although unable to communicate with words, taught the family patience, thankfulness, and unconditional love. 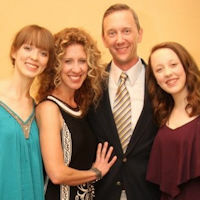 After earning a Bachelor's in English from the College of Charleston, Karen began teaching English at Berkeley High School and soon after married her now husband of 20 years, Bob Durand. Her teaching career would take a hiatus with the birth of two beautiful daughters, Allison and Katherine (Allie and Katie). Focusing full time as a mother, Karen would eventually be offered a very part-time teaching job at Miller-Motte Technical College. Her position advanced as her children grew--enabling her to still put family first. Karen would be blessed with many amazing opportunities including the opportunity to review text books, write instructor resources for McGraw-Hill Publishing, to earn a Master's Degree in Secondary Education from Charleston Southern University, and to obtain the Director of Education position at Miller-Motte. She is thrilled to be a part of the Nigeria Project and looks forward to share the experience with her family.